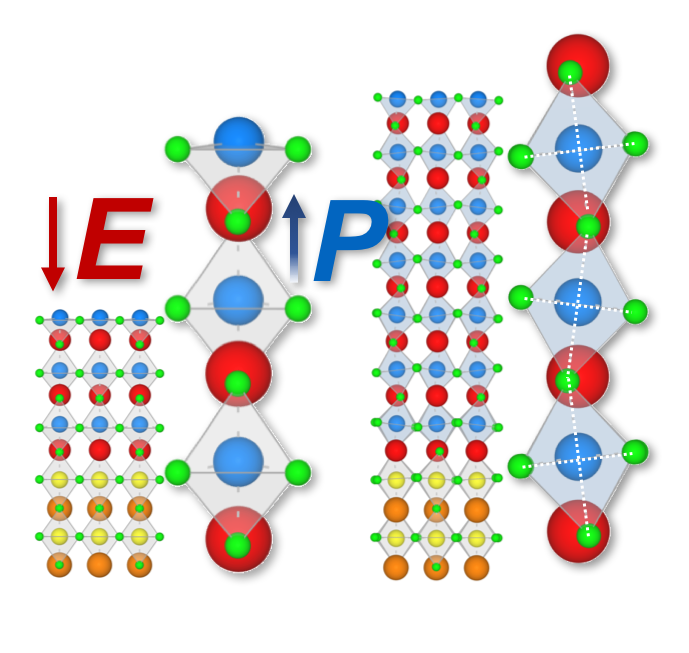 Two basic lattice distortions permeate the structural phase diagram of oxide perovskites: antiferrodistortive (AFD) rotations and tilts of the oxygen octahedral network and polar ferroelectric modes. With some notable exceptions, these two order parameters rarely coexist in a bulk crystal, and understanding their competition is a lively area of active research. Here we demonstrate, by using the LaAlO3/SrTiO3 system as a test case, that quantum confinement can be a viable tool to shift the balance between AFD and polar modes and selectively stabilize one of the two phases. By combining scanning transmission electron microscopy (STEM) and first-principles-based models, we find a crossover between a bulklike LaAlO3 structure where AFD rotations prevail, to a strongly polar state with no AFD tilts at a thickness of approximately three unit cells; therefore, in addition to the celebrated electronic reconstruction, our work unveils a second critical thickness, related not to the electronic properties but to the structural ones. We discuss the implications of these findings, both for the specifics of the LaAlO3/SrTiO3 system and for the general quest towards nanoscale control of material properties.